Randomised algorithms are generally simple to formulate. However, their analysis can become very complex, especially in the field of distributed computing. 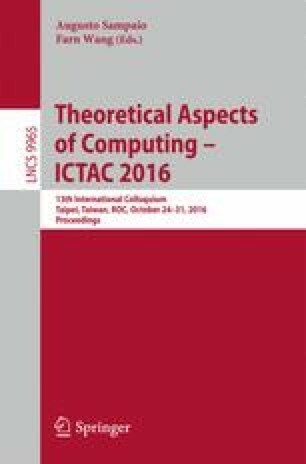 In this paper, we formally model in Coq a class of randomised distributed algorithms. We develop some tools to help proving impossibility results about classical problems and analysing this class of algorithms. As case studies, we examine the handshake and maximal matching problems. We show how to use our tools to formally prove properties about algorithms solving those problems. The authors are grateful to P. Castéran who follows this work all along. We particularly thank him for his first proof in Coq of the impossibility result stated in Sect. 4.1 and for the development of the semantics that is the base of their development. They also thank C. Paulin-Mohring and A. Mahboubi for their help using Alea and ssreflect respectively.